Please scroll down to book with our very easy-to-use online booking system. Now open for the 2019 season. Please book with us below. We are located right on the beach front at Trevaunance Cove, in St. Agnes, Cornwall. There is limited parking available at the top of the beach hill in the beach carpark. There is also another carpark (Reppers Coombe) just a short walk away on Quay Road past the Driftwood Spars pub. Schooners at Trevaunance Cove, St Agnes, has reopened under new, but very familiar, ownership. 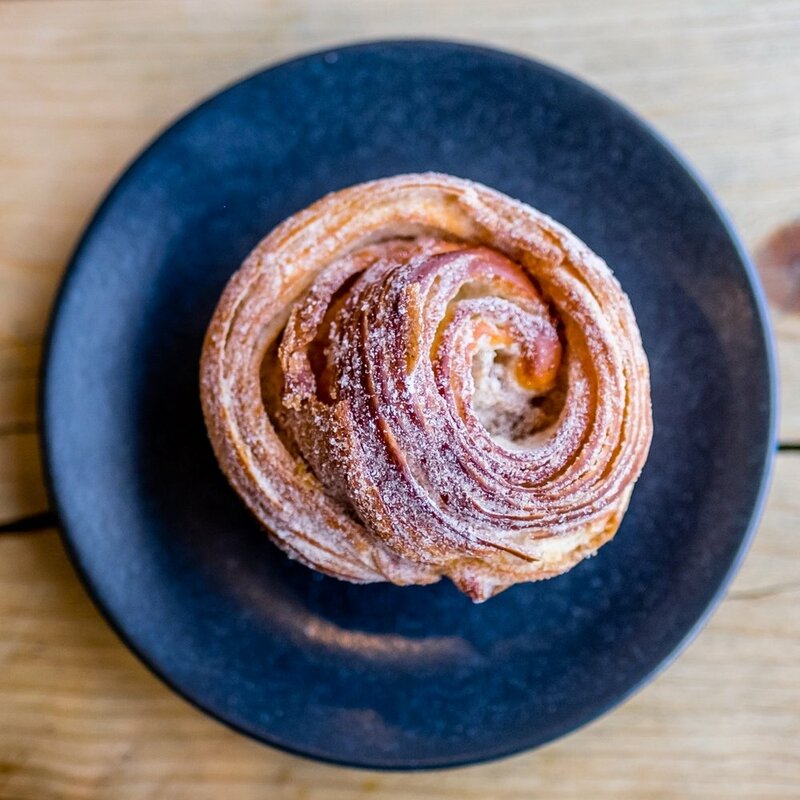 Chef Adam Vasey - along with business partners Sam White and Sean Lascelles - has taken on the beach-side café, which previously belonged to his family in the 1990s. The three locals, with a support crew of friends and family, have transformed the space into a relaxed venue for eating, drinking and socialising by the sea - just in time for the summer season. The food promises to be simple but delicious; fresh fish and shellfish hauled up the beach each day will form the backbone of the menu, as Adam makes the most of his great relationships with local fishermen. 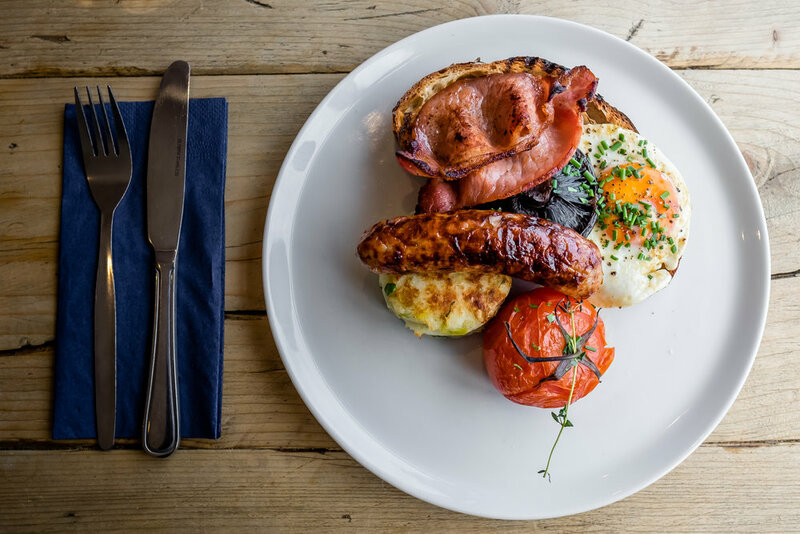 Other produce for the daily-changing menu will be sourced from Cornwall’s finest suppliers including Primrose Herd, whose award-winning pork will be sure to draw the crowds when cooked on the outdoor grill overlooking the cove. Other culinary enticements include a Sunday Brunch which lasts all day, and streetfood-style bar snacks. Trevaunance Cove (Schooners is the centre building). Drinks have been carefully hand-picked from artisan producers such as Trevibban Mill Vineyard and Secret Orchard Cider, while Scarlet Wines have contributed to the wine list and Origin Coffee are providing the caffeine hit. Live music and DJ sessions will feature regularly throughout the year, attracting locals and visitors alike. Schooners has all the right ingredients to become the hottest hang-out in Cornwall this summer, after it officially opens on 7th June. Call 01872 553149 for bookings, or follow @schoonerscornwall on Instagram and Facebook.